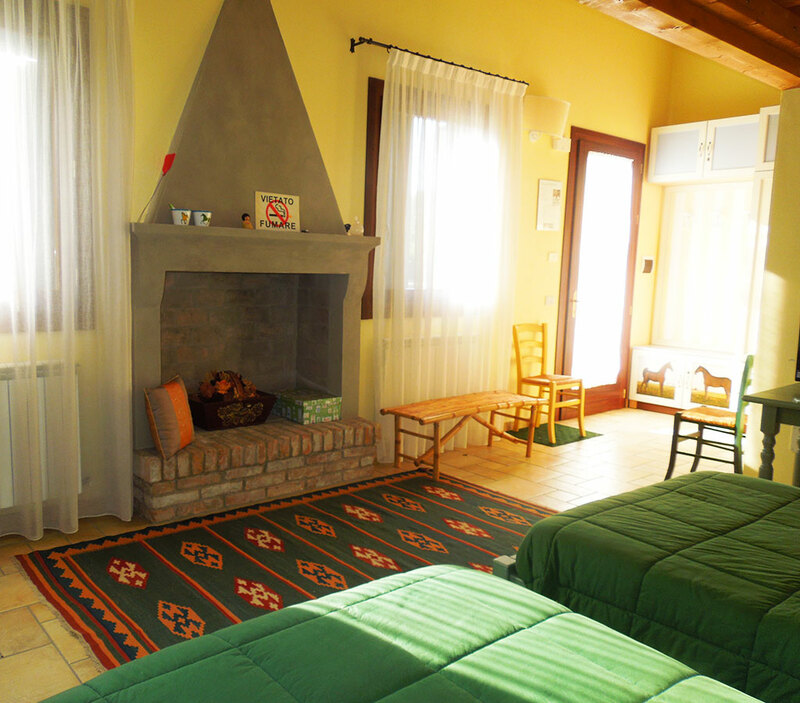 La Presa offers a total of eight rooms; four within a converted outbuilding alongside the main house and four on the first floor of the main house. 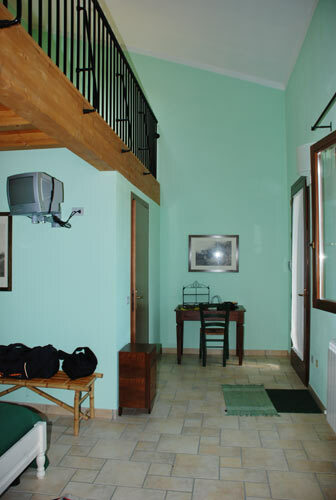 Rooms 1 to 4: Ensuite, split-level rooms with four large beds (1.2 m width) in a separate building close to the main house. 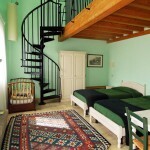 With direct access off the gardens, these rooms are ideal for families with children. 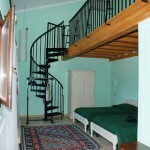 Rooms 5 & 6: Double rooms with a shared bathroom. 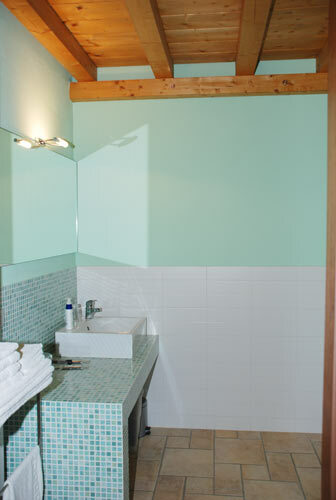 Room 7: A double room with bathroom ensuite. 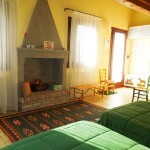 Bedroom with four large single beds (120cm) and a private bathroom. 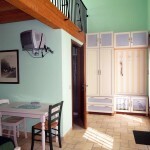 Each room has a private entrance and can accomodate four 4 persons. 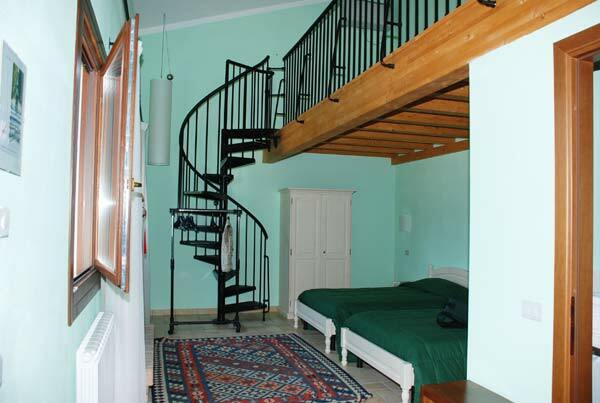 A spiral staircase leads to the garret furnished with two large single beds (120cm). 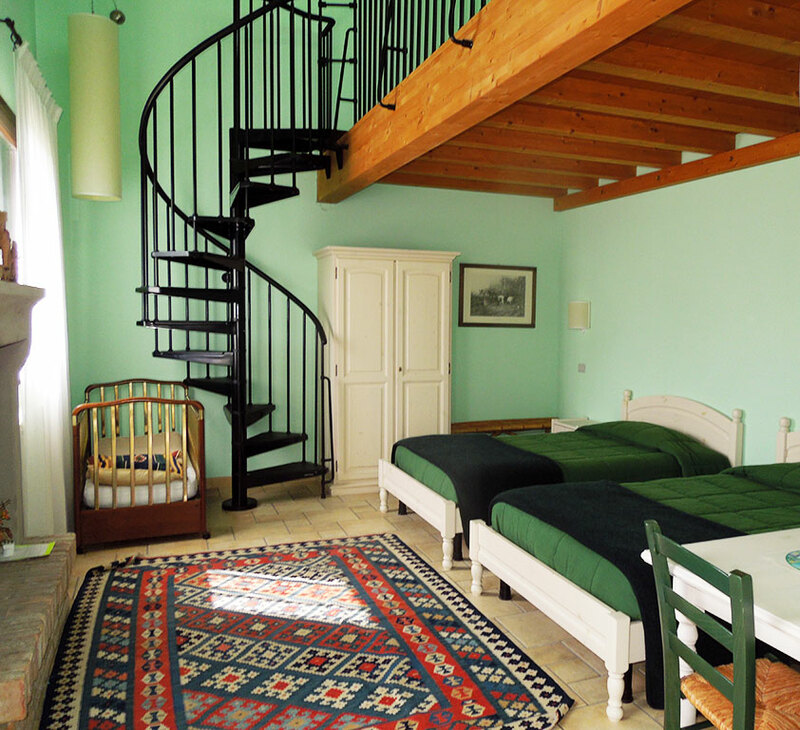 A buffet breakfast is served in the breakfast room and offers home-made pastries and bread, yoghurt, seasonal fruit from our organic orchard, home-made preserves and Delta honey with fruit-juice, coffee and a selection of teas. A three-course dinner is available on request and is served at a long communal table in our dining room. 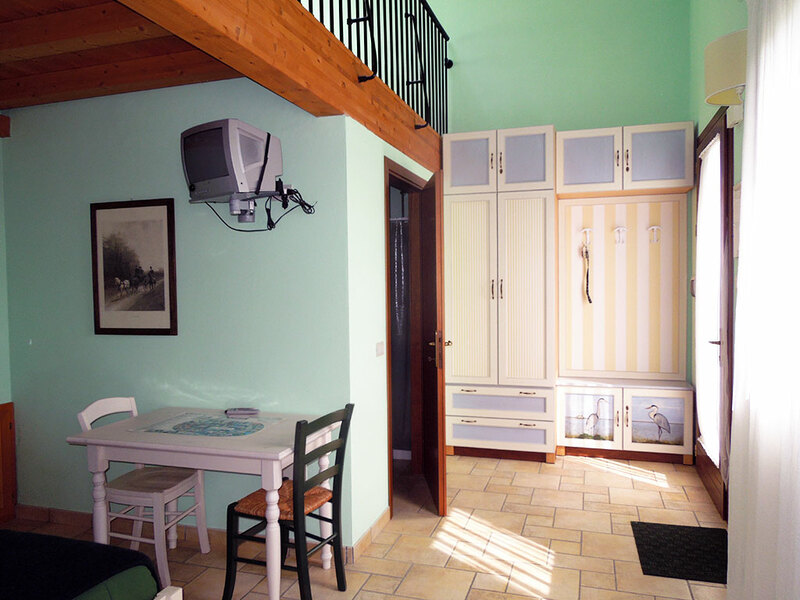 In the colder months we grill Fiorentino T-bone steaks over the open fire-place in the dining room. 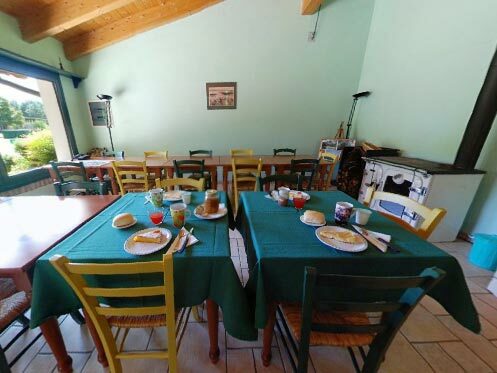 The meals are prepared using fresh produce from our beef-cattle, organic vegetable garden and orchards or procured from local family-run producers. 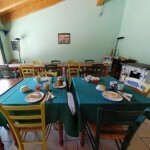 In addition, we can recommend a number of excellent restaurants nearby serving Delta and Veneto cuisine. 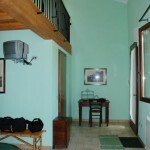 Prices per room per night with breakfast.